When quality is an essential ingredient in your coffee, you need equipment that delivers when it counts. From coffee makers and grinders, to carafes, cups and glasses—every piece of equipment that interacts with your coffee influences its taste. Cutting corners on your equipment can lead to compromises in the taste and quality of your coffee. If you're looking to maximize quality in your coffee equipment, Bodum is the brand for you. This trusted all-purpose kitchen brand designs and engineers a wide range of high-performing hardware to handle every step of the coffee brewing process. Here at Seattle Coffee Gear, we're proud to offer it. Read on to learn more about the Bodum brand below. 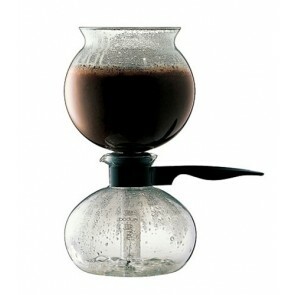 No matter what type of coffee equipment you're looking for, chances are Bodum has something for you. For well over half a century, this iconic kitchen brand has been crafting exemplary kitchen goods to help people like you get the most out of their meals and beverages. Whether brewing coffee or tea, Bodum excels. The company's glasses and carafes are engineered for aesthetic and ergonomic performance, helping you to enjoy your drinks as fully as possible. For quality at every step, the Bodum brand is a great choice for your coffee and tea. Ready to start building your Bodum collection? There's no better place to shop than right here at Seattle Coffee Gear. Not only do we carry a large selection of Bodum coffee and the maker products—we also carry brand new Bodum replacement glass available to order right here on our site. Make sure to take a look at our Blog and Coffee 101 pages for more resources on coffee products!